Beeswax 1 pound block - a 1 pound block measures 6.25" x 3.75" x 1.25". You will receive 1 of these 1 pound blocks. 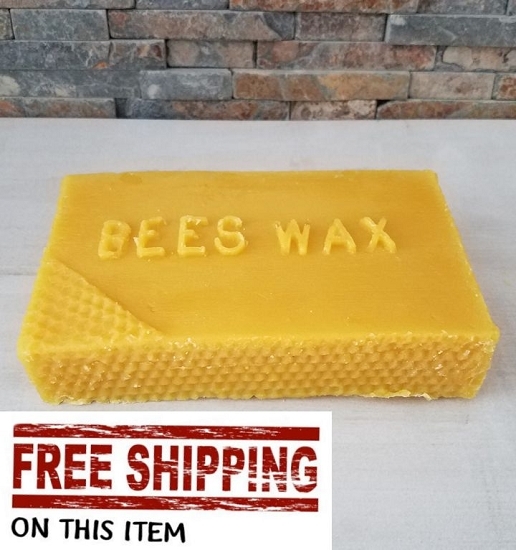 You'll notice that 1, 2, and 16 pound blocks of beeswax includes free shipping - this is for folks that are buying ONLY beeswax and nothing else! 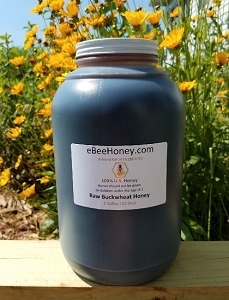 If you are buying additional products, it's less expensive to buy the beeswax that costs $8.50 without free shipping since there will be shipping costs on honey products, etc. Beeswax in a 1 pound block that has been filtered twice and ready to use in any application where beeswax is needed. Beeswax has a variety of uses including; candles, lotions, soaps, hair products, wood projects, fishing, art, painting, musical instruments, manufacturing, etc. Great beeswax for any use. This beeswax includes free shipping which helps those folks who are only buying beeswax and nothing else. This beeswax includes free shipping. If you are just buying 1 pound of beeswax then it will be less to get the beeswax that includes the free shipping. If you are buying any other items along with the beeswax, then buy the beeswax that does not include free shipping since you'll have to calculate shipping costs based on all of your items. Mild but heavenly scent. This is the real thing! I decided to try making my own lip balm and other skin care products, and beeswax is a critical ingredient. Searching for it on Amazon, I found many horror stories in the reviews about "beeswax" that reeks of foul chemicals and/or smoke, or that had obviously been cut with paraffin. Then I found eBeeHoney.com, and I'm glad I did. I received my first order of beeswax today, promptly delivered, and the scent is exactly what I want: mild but heavenly: somewhat like flowers, a hint of honey, and not smokey. Don't waste your money elsewhere. If you need beeswax, buy it from these folks! Excellent quality and delivery was amazing! Highly Recommended! I ordered from this site after reading dozens of Amazon reviews about pastilles they received that had a bad odor. This beeswax smelled heavenly. Slightly smoky and sweet! I made my first batch of beeswax and essential oil lotion and am thrilled with the results! I even made some without any extra essential oils so I could enjoy the natural beeswax scent. I will be purchasing from here again. Thank you for a great product! I have been researching beeswax for awhile and have been hesitant to purchase because of claims of a chemical or smoke smell or being cut with paraffin. I decided on this because free shipping and good reviews about the smell. I received the block and opened the package and my family and I spent the next two days passing it around and just smelling it. It smells so amazing! Like fresh flowers and honey. It feels slightly tacky to the touch but not sticky. I have used about an ounce for the original purpose I bought it for. Now I cannot wait to use it in candles, lotion bars, and lip balm. This is my go to source for quality beeswax. I bought this to mix with some mineral oil to rub on my cutting boards and wooden utensils. It worked perfectly and melted around 145 degrees which confirms to me that it is 100% beeswax and it even smelled faintly of honey. Will definitely continue ordering whenever I run out! I was gong to buy 1/4 pound of refined bees wax for 13 dollars and for 3 dollars more I received 1 pound of clean bees wax! Will reccomend and buy again. The order came lightning fast, and free shipping at that. The beeswax smells nice and melted evenly, allowing me to make some very nice candles. The candles burn clean and bright. Awesome! It is nice to have a source that you know you are receiving pure beeswax with no additives. I use the beeswax in a home made moisturizer and my skin seems to love it. Thank you for your great product and assurance of a pure product. This bees wax is such a gorgeous yellow and smells so natural. I made a candle and it is burning beautifully. The shipping was very quick even though it was Christmas time. Looking forward to buying more. Well, I know where I’m getting my beeswax from now on! It arrived quickly and in perfect condition. It smells amazing and it was very affordable, even with shipping across the Pacific. My only tiny wish is that it was available in a pre-grated or pellet form for convenience (I’m lazy...and busy). I’ve done the thing where you order “organic” and “pure” beeswax from Amazon and get something that smells weird and seems a little “off.” That’s before I found eBee and read about how most wax like that is processed. Had no idea. This is obviously the real deal, and I would happily order again! I love this product. I use it to make solid lotion bars with Shea butter and coconut oil. I thought I would need to put essential oils in the mixture but ended up skipping them.The beeswax smells so wonderfully like honey, the oils would have ruined the pure natural smell. My dry cracked heels are completely healed as well. Great product!! Fast shipping. Product smells wonderful. Melted nice for beeswax wraps. Will order again. Thank you!!! This is the third company I have ordered beeswax from and finally found the real thing! It smells just like honey and works wonderfully in Chapstick and lotion bars. The companies I ordered from previously including organic smelled horribly of chemicals. So bad I wouldn't want to make a candle out of it much less put it on my body. 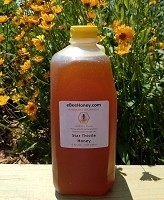 But ebeehoney is fantastic and I won't buy from anywhere else. This was my first time using beeswax to make my own candles. I didn't want to use beeswax from Amazon or anything but from many places I found the beeswax too be really expensive until I randomly ran across the name of ebeehoney on a discussion forum and I'm so glad I did because my candles turned out amazing and will definitely be purchasing more beeswax from ebeehoney very soon. Also, as a plus the shipping was extremely fast so that was great too. What a difference right off the bat from your average craft store beeswax (which more than likely is not 100% beeswax)! This smelled divine when I opened the sealed bag (no chemical or petrol smells at all), was nice and tacky to the touch, and had a nice, golden color. Upon melting the wax, it was a slow melt on low heat - it didn't require medium heat like the craft store beeswax, which comprised the quality of my cosmetic products, and it didn't produce foul smelling smoke. The color when melted was golden and creamy, not crystal clear and gold tinted like paraffin doped beeswax. All said and done, my first set of solid lotion bars turned out amazing, and I'll never go back to the craft store junk. 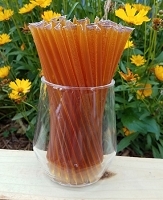 I'll keep coming back here and spread the word among my crafting friends - ebeehoney is the place to go for beeswax! I've learned quickly to be cautious of beeswax and I'm suspicious now of just about every seller adding paraffin to their beeswax. Figured with all the great reviews I'd get a pound of eBee and give it a try. Wax smells fantastic and very pure smelling. To put it to the test I used a laser temp gun and a beaker and measured the melting point of the beeswax. Beeswax has a melting point of around 144-147 F. Paraffin has a much lower melting starting at 99 F so adulterated beeswax should have a lower melting point. This wax stayed rock solid to around 145 F. I'm satisfied this is 100% pure and I'll be certain to be a repeat customer. I handled a block of wax in a store and found it to be very hard with no scent what so ever. I imagined beeswax should be tacky The stuff I found must have had another wax in it. I imagined it should have been softer by nature. I put the overly priced fake block back on the shelf and I stumbled across this site looking for wax and WOW what a difference. THis description confirmed by suspicion. 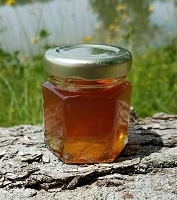 A beautiful heavenly aroma the should remind you of honey because well its beeswax right? So soft you can indent this with your finger if you push with what I will call a moderate pressure. Truly the real deal and will be back for a bigger order next time. So glad I read this description from Ebeehoney to convince me what is real versus what likly is something else. Love love love... Bought this to make skin lotion. I was so tired of paying crazy amounts and decided to go all natural and the results are better than any of the dozens of creams I have tried. Will be exploring more uses for the beeswax and certainly ordering more. Best beeswax I have purchased! Using it for my body products and wax melts and going to be making beeswax candles. The honey scent is very pleasant, not smoky like others I have tired. I love the golden color too. I've wasted a lot of money trying to find the perfect beeswax and I've found it here. Thank you! I have never used bees wax before but was very interested in trying it in some of my body products I make. There are SO MANY uses for bees wax, its amazing stuff! I was very pleased when it arrived. Its a beautiful yellow color and smells sweet! Its a great addition to my products. I will never be without it again! I ordered the Beeswax to make a Cutting board finish. The Wax arrived fast and is of extremely high quality. It was a pleasure to work with and the finish turned out great. Excellent quality, lightning fast shipping, and fantastic customer service! This is my first time ordering from this site and I am very pleased with my purchase. very fast shipping and the wax smells wonderful. I can't wait to try their other products! Delivered on time. Product fresh and aromatic. Just what the doctor ordered! The first thing I did when I opened my package was smell the beeswax and I was not disappointed. It has a lovely sweet smell and worked great in making a batch of chap sticks. I am very pleased with this beeswax and would definitely order it again. I have not had a chance to use it yet, as i am waiting for an order of herbs to come so I can make a salve for dry skin and muscle aches. I can say though, that it arrived quickly and smells delicious. I have it in a cabinet in my kitchen, and now that cabinet smells like honey. Makes me want to lick the blocks of wax just to taste. This is pure, lovely, clean, sweet smelling beeswax. It was quickly shipped and carefully packaged. The fragrance is subtle and intoxicating and the color is rich. I'm just learning how to make body butters and had previously bought beeswax pellets elsewhere. My end product smelled so SMOKEY with the first product I bought! This wax melted beautifully (I used a grater) and NO smokey smell. The yellow color of the block of wax did not see to affect the color of my body butter. Love it and will buy it here again. I received my order so quickly and the beeswax is awesome !!!!! We bought this for our balms we make and so far so good! Natural smelling, a little sweet, but the best quality we've tried yet and it's important we use natural, safe products. Thanks! My order was filled and shipped quickly. Top quality beeswax, just what I was looking for. Where have you been all my life? This wax is exquisite! It has renewed my passion for candle-making because it smells so lovely. I am so happy I found Glenn and his website. Works well for curing viking drinking horns! This is our second order. Best beeswax we've found. Pure, fresh smelling, and consistent. I ordered beeswax. It came in the mail extremely fast. I am very satisfied with it's potency and with it's quality. I will be ordering again as needed. Excellent company to do business with. Ordering was a breeze. Order shipped same day. 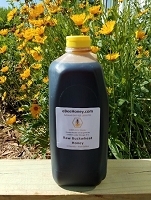 Received order ahead of schedule and most of all the honey is exactly what we wanted and expected. Will continue to do business with them. Beeswax is fabulous! Will purchase again. Shipping was super fast on this bees wax. I tried it out on some work on the wood lathe and it works great and has a good honey scent too. Will be buying from again!!! My mom has been using this beeswax for some time now and gave me some for my birthday. I made a lotion bar with it and it is amazing! Smells heavenly. I am so happy with it. So much better than one I bought off Amazon. Truly wonderful. So glad to find Beeswax that smells wonderful. What a relief after trying beeswax pastilles from several online vendors only to be disappointed in the awful smell. This is the real stuff! I got this last week and it is amazing. I had researched in many different sites and saw how many reviews stated the smell of the beeswax smelled really bad, this one smells totally like honey. The quality of this beeswax is amazing. I will definitely keep this as my go to product.